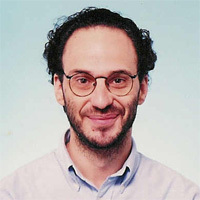 Felipe Cucker is Professor of Mathematical Sciences at the City University of Hong Kong. At the Berlin Mathematical School Felipe Cucker is conducting his research at the Technische Universität Berlin. The Einstein Foundation Berlin was founded in 2009 by the State of Berlin. The Foundation funds cutting-edge science and research in Berlin, helping to strengthen the city's reputation as one the world's foremost research hotspots.